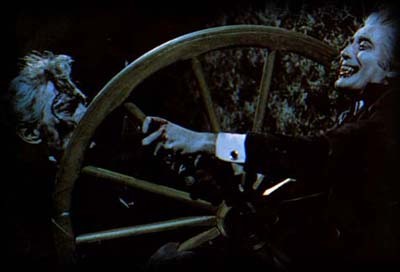 Captain Kronos : Themes of the Vampire: A short article on the theme of the Vampire as seen in Hammer's classic from the pens of those responsible for The New Avengers. The film saw a very different interpretation of the myth from the normal cinematic viewpoint. Cash On Demand (archived feature) : A republished article on Cash On Demand, which first appeared in 2000 on the Lee Sergeant Hammer website. The Dracula Myth: Hammer produced a large volume of vampire tales in their lifetime, and this discusses the various Dracula inspired tales, which often teamed Christopher Lee and Peter Cushing. How I Became A Monster Hunter: Extracted from the horror story anthology selected by Peter Cushing, Tales of A Monster Hunter, a short autobiography from 1976 by the gentleman of horror himself. The Quatermass Experiment 2005: BBC4 launched a new live adaptation of Nigel Kneale's sci-fi classic (and one-time Hammer film) on April 2nd 2005. We followed developments leading up to the broadcast... Added: March 2005 Currently offline: Aug 06. Vampirella -the unproduced Hammer Horror: A brand-new on-going article on possibly the most significant of Hammer's unfufilled projects, the adaptation of Vampirella.